Every since I was a kid, I have had a desire to be bigger and stronger. I don't care to step on stage for a bodybuilding show or a powerlifting competition, but simply want a blend of these two goals. Whether your goal is sport performance or just pure aesthetics, there are some great benefits to going after size and strength. If you are an athlete, you may need a blend of these two goals for optimal sport performance. Some athletes for certain sports/positions need to get bigger so they can dominate the competition and avoid getting tossed around. Also in contact and collision sports, lean muscle acts like armor to protect your body (note: special thanks to Dan John for that great analogy). I have had athletes who had great mobility, functional movement and stability, but who did not comply with the size-building training and eating we asked them to follow and as a result got injured. You need some muscle to protect you. However, a key key ingredient to athletic performance is high levels of relative strength (click HERE for more details). If you are an athlete and try to do a bodybuilding-style light-weight, high-rep pumping routine you may get bigger, but will not get proportionately stronger. As a result, you can actually decrease your strength-to-weight ratio. This increases injury risk and decreases performance. Therefore any athlete trying to get bigger has to also get stronger! It is also important to know that muscle mass can be a limiter to strength. 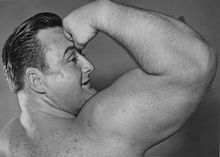 Powerlifting guru Dave Tate had a great quote on this: you can't flex bone. Therefore, if strength is your number one focus and you have plateaued, gaining some muscle may help to get your numbers going up again. Some people roll their eyes when people talk about performance or function. "Look dude," they say, "all I want to do is look good naked." Fine, I get this. However, even if your goal is purely aesthetic, some heavy weight can help you out big time! First, it is hard to gain a lot of muscle if you are weak, not genetically gifted for muscle gains and/or not using steroids. Strength levels can be a limiter for hypertrophy and many other goals (click HERE for more details). The second thing is that heavy strength training builds hard muscle and tone. If you study the sport of bodybuilding you will notice a harder, denser more rugged look to bodybuilders who did some heavy lifting. 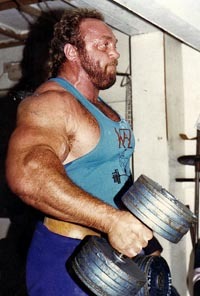 Bodybuilders who just do high-rep light weight pumping have a puffier look. To build strength you need to lift heavy weights and this requires low reps. To build size, you need a certain amount of volume (i.e. the amount of work) which often requires lighter loads. So how do you keep the weight heavy enough to build strength while getting sufficient volume to build muscle size? There are many different ways you can go about this, but here are 3 of my favorites. 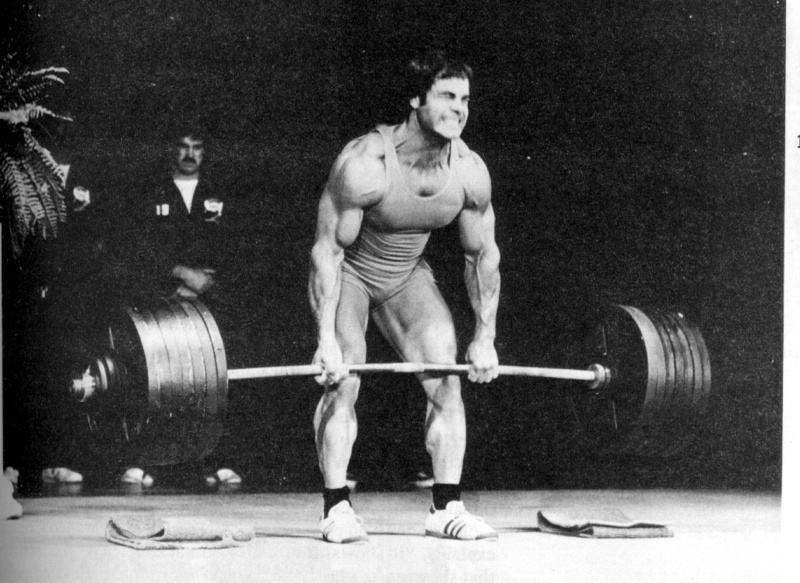 This old-school classic has packed size and strength on lifters for decades. It is very simple. If you do heavy, low-rep training for the standard number of sets (e.g. 3) you get a small total number of reps and thus a small volume. For example, 3 sets of 3 reps (which is great for building pure strength) results in a whopping 9 total reps. With heavy weight and low volume, the body will try to deal with the stress by just getting stronger with neuromuscular adaptations (e.g. learning to use more of the available motor units within the muscle). However, if you use slightly less weight and increase the number of sets (e.g. 8-10 sets), you up the volume (in this case 24-30 total reps) and end up with great strength and size building protocol. 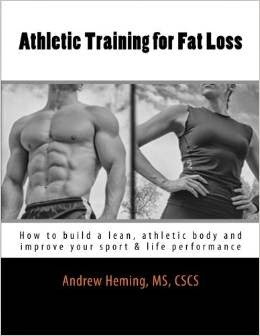 Notes: while effective it is not the most exciting way to train as you will spend your training session doing typically 1-3 exercises. Also, you need to pick exercises that are effective and joint friendly for you. While this method is not new, it has more recently been referred to as undulating or non-linear periodization and has some good research backing its effectiveness (I'll expand on this more in future posts). The basic concept in this context is that you would have some training sessions devoted to strength training and some devoted to hypertrophy training within the same training week. Notes: this method can get a little tricky to implement if you are using body part splits. It is usually best when using whole body routines and upper/lower splits. In this method, strength training is done first and then this is followed by hypertrophy training. This can be done with using the same exercises (a style made popular by famous Canadian strongman Doug Hepburn) or with a strength exercise followed by more traditional bodybuilding. Notes: while this method is very effective for advanced trainees as it creates great overload while allowing sufficient recovery, it means a lower frequency per muscle group. This is not ideal for less-experienced trainees as it lowers frequency and often results in training a muscle group and practicing a lift one time per week. As with any training method, there are pros and cons to each of these. Ultimately, it is what works well for you that matters. Also, remember that any method, no matter effective, will not work forever. If you are using one method and find yourself stalling, you may want to rotate or cycle these different methods. I wish you all the best in your quest for size and strength!